Designed to meet the tough demands of construction, utility, industrial work professionals at job sites each day Maelstrom work series work boots are a stylish, durable choice for your job needs. 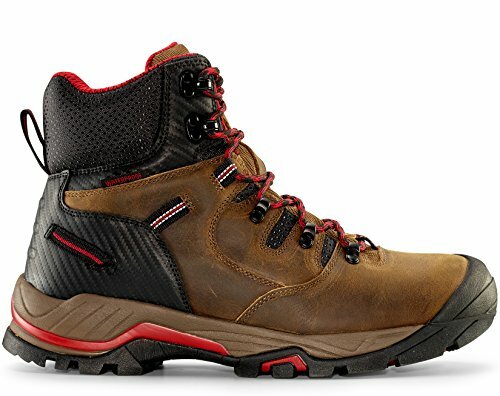 Maelstrom work boots come in a variety of different traditional and athletic styles, colors, and features varying from waterproof, composite safety toes, electrical hazard resistance, and more. High quality materials such as full grain water resistant leather, and non marking rubber outsoles with toe wrap up designs allow the boots to withstand the toughest rigors of the job site, where you can be on your feet all day. Like our tactical series, our work boots incorporate our engineered dynamic 3-sole system with shock absorbing EVA to maximize compression and rebound, thus increasing your speed, comfort and performance while reducing foot fatigue. BUY WITH CONFIDENCE - One year manufacturer's warranty. Free Returns*. Sizes generally run true. FUNCTIONAL WORK BOOTS - Commonly worn by construction, utility, and industrial workers Maelstrom Work Series boots meet the needs for protection, comfort, speed and a professional look.